Also known as the king of fruits, the mango tree thrives in warm tropical climate. It has different flavors, such as spicy and sweet. Usually, the tree will require a lot of space to grow. However, if you are short of space or you live in an area with cold climate, growing mango tree in pots would be your best option. Propagating the mango tree from seed is not recommended. This option could take up to eight years before it can produce fruits. Moreover, there is not even a guarantee that the seeds will ever produce fruits. Thus, your best bet when planting a mango tree is to buy a grafted mango plant. You will surely find several mango cultivars at a local nursery. A grafted mango plant will take up to three years to produce fruit. On the first three to five years, it will grow bigger and produce fewer fruits and flowers. It will become more productive with fruiting at the fifth year. Choose the right container or pot for your mango tree. Opt for a planter that is in accordance to the size of the plant you have bought. Update it at a later time, once the plant grows to become a tree. Grow mango tree in spring. But in their native habitat, such as in India, they can be planted before the start of the rainy season. That should be around the months of July and August, or right after the end of the rainy season. Choose the variety of mango tree that you want to grow. Dwarf mango trees can grow up to four meters tall and can be planted in pots or containers. There are also specific dwarf varieties that cannot be grown in containers so you better choose well. Visit your local nursery to find out which variety of mango tree can grow best in your place. As mentioned, choose to grow the tree through a grafted plant. Seeds could take longer to grow and bear fruits. Using mango seeds from a store bought fruit may not grow into a tree. Trees grown from seeds are often much stronger and hardier. However, they might not be that reliable when it comes to bearing fruits. Next, prepare your pot with soil. Check the pH level of the soil that you will be using to know if it has appropriate acidity range. Mangoes can thrive well in loose and sandy soil where water drains easily. Grow your mango tree in soil with pH level between 4.5 and 7. Add peat moss in your soil each year to keep the acidity high. Moreover, avoid using fertilizers or other products with chemicals and salt. These will prevent your tree from growing. In addition, prepare the soil in a way that it can be tilled up to three feet deep. That way, there will be enough space for the roots to grow. Place the grafted mango plant several inches deep in your container that’s filled with potting soil. Next, dampen the soil in the pot and place the pot in a warm and shaded area. Your mango plant will also need some sun in order to thrive. Thus, consider exposing the plant for up to ten hours of sunlight in a day. Moreover, a full sun is needed to ensure optimal growth and productivity. 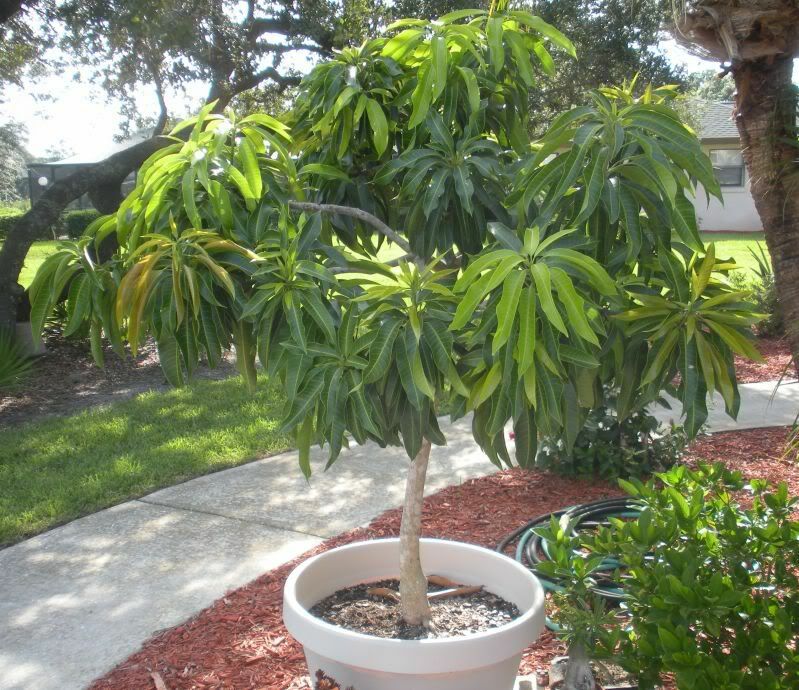 Place the mango tree in pots at the Southern spot in your yard or garden. Wait until you will notice some growth from the tree before you start fertilizing. After that, fertilize the tree at least once in a month on its first year. Use non-chemical fertilizers. Ideally, a fertilizer that has a 6-6-6-2 mix must be used. Dissolve the fertilizer in warm water prior to application. Moreover, keep the fertilizer solution in hand for use monthly. One of the most important mango tree care tips is to water your mango tree appropriately. The trees do not want so much water, however, the first week of watering must be above the average. Water new trees every other day in the first week. Water the trees once or twice in a week thereafter. Moreover, water your young mango plant once a week if there are little to no rainfall. Pruning mango trees is necessary in order to allow for enough space for its branches to grow further. This is important especially if fruits will start to develop at the end of the branches. Remove the vertical branches in order to give way to horizontal branches. Cut the branches about an inch from the trunk if there are too much crowding in the middle. Typically, pruning mango trees should be done after the last bearing of fruit for the season. Prune your tree in order to limit the outward tree growth. Cut off some branches that are just too wide or too tall. Visit your local nursery if you have questions about pruning the specific mango tree variety you bought. They can also offer more tips on mango tree care. Since mangoes tend to vary in shape, size and color, depending on the variety you choose to grow, it is hard to tell if the fruit is already ripe, except when you cut it open. Get a general sense depending on how fragrant and soft the fruit is. However, use a knife if you want to sample the fruit. If the meat is yellow until the core, then it’s already ready to be eaten. However, if it’s still white and hard, wait until two weeks before you start testing the fruit again. Harvest the fruit by giving it a gentle tug. The stem should snap easily off once the fruits are already ripe. Continue harvesting in this manner or use pruning shears when taking the fruit off the tree. 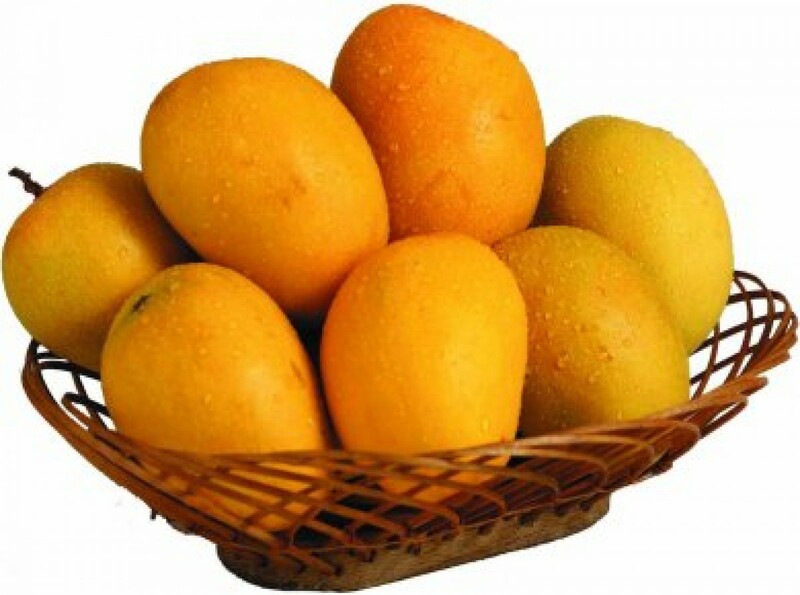 Keep in mind that the mango fruit might take at least a few days before they get ripen. If you will pick the fruit early, you can make it ripen by keeping the fruits inside a paper bag in a room temperature for several days. Another nice option if you’ve picked the mango fruits early is to make a salad out of it. A green mango salad will go well with some fish dishes. •	Protect the mango tree against winter frost by wrapping or tenting it securely with a blanket. Bring the potted tree inside if needed. •	Plant the tree in a well-draining soil so it will not end up with a “wet feet”. •	Apply fungicides the moment you notice black spots on the mango fruits. Anthracnose fungus is a deadly disease since it attacks all parts of the mango tree. 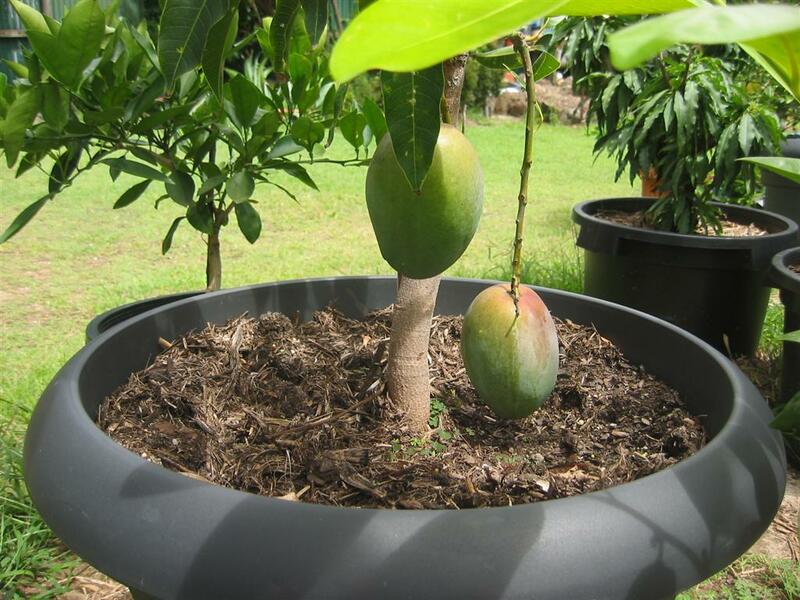 As you see, it is definitely possible to grow mango tree in pots or containers. Make sure that you familiarize yourself with the tips above to ensure success in this endeavor.